In Monaco, a driver’s position on the starting grid is usually crucial. 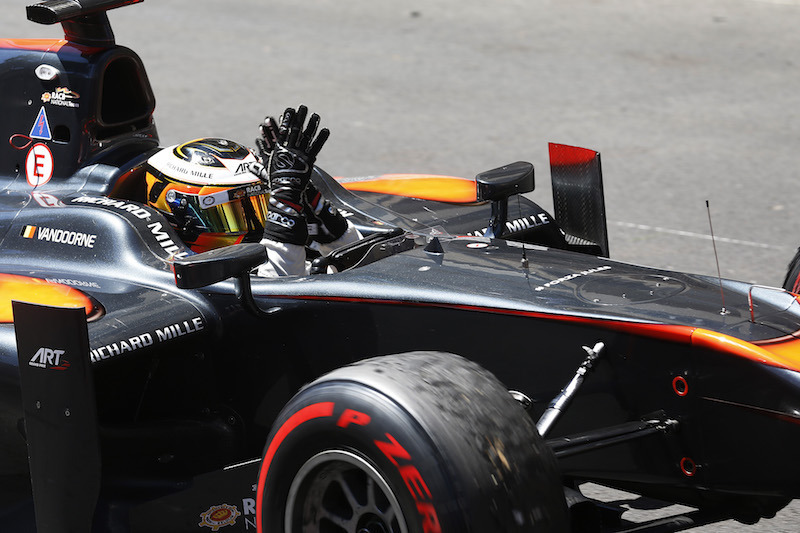 Author of six consecutive pole positions before the Monaco round of the GP2 Championship, Stoffel Vandoorne therefore had double motivation to secure a seventh. But in Monaco, more than anywhere else, a small grain of sand or a small drop of rain can permanently reshuffle the cards. At the foot of the Casino the reshuffle starts with the GP2 series dividing the participating drivers into two groups in order to limit the consequences of traffic on the narrow streets of the city. The rain that fell on the Principality early in the qualifying session complicated Stoffel’s task as he had a dry set up on his car but then had to don wet weather tires. Initially positioned at the back of the hierarchy, Stoffel was beautifully placed late in the session after propelling his car into 2nd place. However, the second qualifying group was faster than the first and Stoffel slipped down into 4th place, four rows ahead of teammate Nobuharu Matsushita, who although discovering the tremendous complexity of Monaco for the first time, was fantastically efficient in qualifying. In Monaco, among the very few overtaking opportunities, the least risky is carried out during the pit stops, if the team has a good strategy. 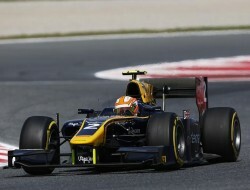 Stoffel Vandoorne and ART Grand Prix established their winning tactic by starting on the hard tire.